Ever since Bitcoin started gaining widespread media traction a couple of years back, educational institutions all across the globe have been taking notice of this sector and have begun offering students with specially tailored programs that will give their digital careers a good head-start. In the past 12 months alone, there have been hundreds of new cryptocurrencies that have been introduced into the market. 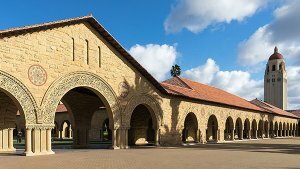 Stanford is one of my universities offering blockchain and cryptocurrency-related classes. While the reason for their popularity may be varied, their underlying foundation is one which allows for secure and fast monetary transactions without the use of an intermediary financial entity such as a bank. Professor Dan Boneh, in charge of Stanford’s Computer Security Lab, began teaching students about cryptocurrencies in 2015 and has since mentored over a million students in this niche’ educational field. In fact, Boneh went on to add that his “Security and Cryptography” course was amongst the top three most popular chosen subjects within the university’s computer science department, trailing only Machine Learning. One may be tempted to believe that Stanford is one of the few educational hubs offering its students with such exciting courses. However, the list of universities presenting blockchain and crypto oriented study programs has been growing steadily for quite some time now. 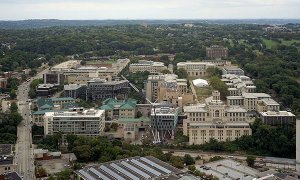 Carnegie Mellon University is a global research university known for its world-class, interdisciplinary programs. Halfway across the globe, leading Australian tech-university RMIT announced earlier this year that it would be offering its students with a short-term “Blockchain Strategy Course”. The course has become part of the school’s official curriculum for the first time this year and has already drawn interest from a number of Ph.D. scholars. University of California at Berkeley – they have a popular ongoing class called “Cryptocurrency Decal”. Massachusetts Institute of Technology – their Media Lab established a blockchain oriented educational entity called the Digital Currency Initiative. With universities like Carnegie Mellon actively fostering an interest in the crypto field by starting initiatives such as the CMU Crypto Group, it feels like blockchain technology is finally being viewed as a vehicle that can be implemented within domains far beyond the constricted realms of finance and money. Well, whatever may be the case, one thing is for sure that students from an early age are now beginning to explore unique startup opportunities by breaking conventional business models via the power of blockchain.